Plus the five tools you need to make your iPhone footage look cinematic. Tangerine is a movie so vivid and real that you feel like you’re walking the streets of Los Angeles with its main characters. The film takes place on Christmas Eve, which in Hollywood is just another warm day, and the cinematography radiates that heat. But as you trail behind best friends Sin-Dee and Alexandra as they search for Sin-Dee’s cheating boyfriend, you’d never realize that with an iPhone, you too could create that scene. Tangerine director Sean Baker used his iPhone 5s to direct the movie, the first iPhone film shot in scope, which you wouldn’t guess if you saw it on the big screen (and you should—it’s now playing). Tangerine isn’t composed of shaky handheld footage, like the terrible videos littered throughout my Camera Roll. It looks cinematic. Baker used a few filmmaking tips and tricks to polish his iPhone-shot dailies, but he says literally anyone can re-create what he did—and maybe even see the finished product debut at Sundance Film Festival, like Tangerine did this year. I asked Baker how he pulled it off and what equipment amateur filmmakers can use to turn their iPhone videos into Sundance films. The below interview had been edited for length and clarity. 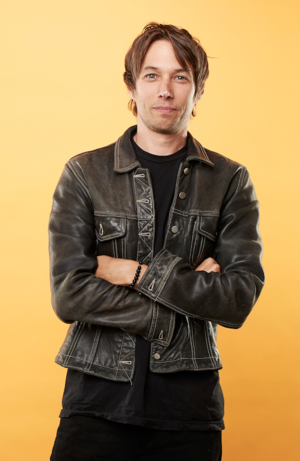 Director Sean Baker used his iPhone 5s to film Tangerine, which debuted at the Sundance Film Festival this year. Macworld: Was the decision to shoot Tangerine on an iPhone a financial decision or a creative one? Baker: It really started as a financial decision. We were stuck with a very tight budget, and I was exploring many different options. I came across a Vimeo channel that focused on iPhone experiments. I was very impressed. Then I found the Kickstarter campaign for Moondog Labs that lets you shoot in true scope widescreen ratio, and that’s what convinced me as a filmmaker that it was not only going to save us a ton of money but would make it possible. The iPhone 5s made it to a point where the camera was better, the resolution was up there. This anamorphic adapter told me it could be elevated to a cinematic level. Your iPhone video looks nothing like my iPhone video. Did the footage require extensive post-production work? We definitely treated the film in post-production. We really oversaturated the colors. That was a purposeful thing for the aesthetic. The quality is there. The resolution is already there. The iPhone in conjunction with the Filmic Pro app, the resolution is HD quality. This was more about setting a style. Like any other film, we wanted it to be color corrected properly and professionally. What were the disadvantages of shooting on an iPhone? Because it’s such a small lens, there’s basically a very extremely deep depth of field, if you can even call it a depth of field. Everything is in focus. If you have your hand in front of the camera, your hand will be in focus as well as 10 miles down the horizon. That’s a look we’re not really used to in cinema. We’re used to having a shallow depth of field. Once you get past that, you can accept that it’s a different look. There were no disadvantages in terms of the workflow. Once we got the footage off the iPhone at night in iTunes, we’d back up our raw files and transcode it so it was easier to edit in Final Cut Pro. It was as easy as editing any other piece of media. You worked with a lot of acting newcomers for Tangerine. Do you think using an iPhone to shoot had an effect on their performances? There’s always this hump, this 1-week hump where the first-time actors have to get used to the fact that there’s a camera in their face. It takes them about a week to get comfortable. In this case, because we’re basically using a communication device that everyone owns, that didn’t factor in this time. The intimidation factor was off the table from the beginning. Baker tends to work with new actors who are more comfortable in front of an iPhone than a high-end camera. Were you in touch with Apple at any point during the process of making or distributing the movie? We haven’t had a terrific amount of communication with them, but we did do some Apple Store talks and they were nice enough to give phones to the cast. Would you shoot another movie on your phone? Right now, no, but who knows down the line? I like to switch it up every time, and of course I’m still a fan of film in general and I want to shoot on film when it’s still available. Even in the year and a half since we shot, Filmic Pro has advanced to 2K, which is double the resolution we captured, so it’s amazing the technological advances that happen in such a short period of time. In a year from now, I might be presented with options that make it quite attractive. Can any amateur filmmaker achieve the look of Tangerine with their iPhone? I think so. I’m not going to say I did anything special. There were very basic steps we took that can be achieved by anybody. We did use professional sound. Young filmmakers interested in doing this, don’t think you can get way with using recorded sound on the iPhone. You have to record it separately. Ready to get started? Baker recommends this equipment and software, all of which he used to make Tangerine. Steadicam Smoothee: The one thing you can’t avoid when shooting video on your phone is your hand’s shakiness. “That translates terribly on the big screen,” Baker said. So he invested in a small stabilizer, Steadicam’s Smoothee, which you attach to the phone and grip in your hand. The Smoothee gives some Tangerine scenes the effect of a classic Steadicam shot or a crane, all done with an iPhone. Moondog Labs anamorphic adapter: This is the iPhone accessory that convinced Baker that using his phone to shoot a movie would work. The anamorphic lens adapter elevates your iPhone video footage to cinema quality. “It makes it look like a bigger film,” Baker said. It’s also the reason Baker chose to shoot his film with an iPhone instead of another device, aside from the fact that he already knew his way around the 5s. Moondog only makes its adapters for iPhones. Filmic Pro: Baker relied on this popular iOS app to capture iPhone footage that didn’t look like video—it looks like a film. That’s because Filmic Pro captures footage at high-speed frame rates and lets directors lock focus and aperture. “It manipulates the iPhone to capture footage at a higher quality than if you were using the basic camera mode,” Baker said. DaVinci Resolve: Professional-grade color correction is one thing you can’t skimp on, Baker said, and he recommends DaVinci Resolve’s color correction tools to color video shot on the iPhone. Baker also hired a professional color correction specialist to work on the Tangerine footage, but you could go DIY if you want. Final Cut Pro: Professional filmmakers use Final Cut Pro to edit their footage on Macs, and Baker is no exception. Tangerine was released in July and is still playing in a theater near you. Check your local listings for showtimes.